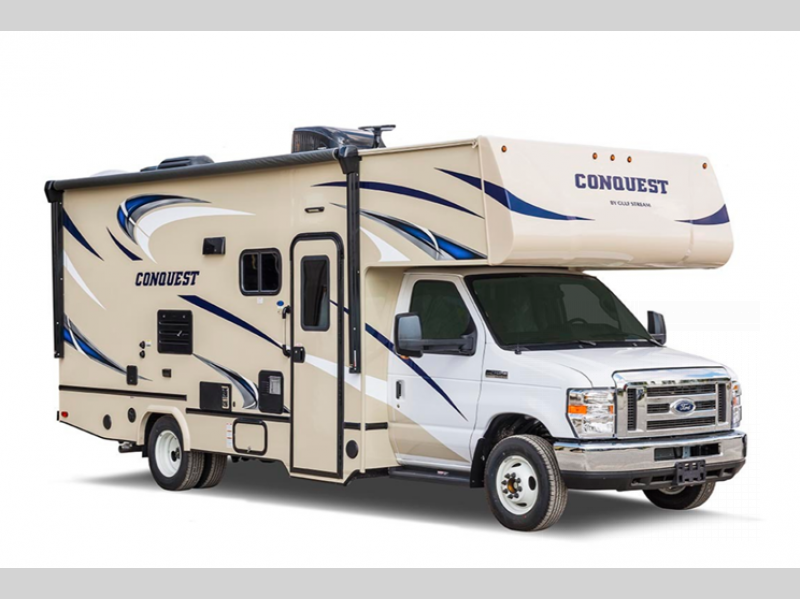 Right now you could save $12,960 on this Gulf Stream Conquest class C motorhomes on sale at Moore’s RV! We’re offering HUGE savings on select motorhomes, so start planning your next destination! 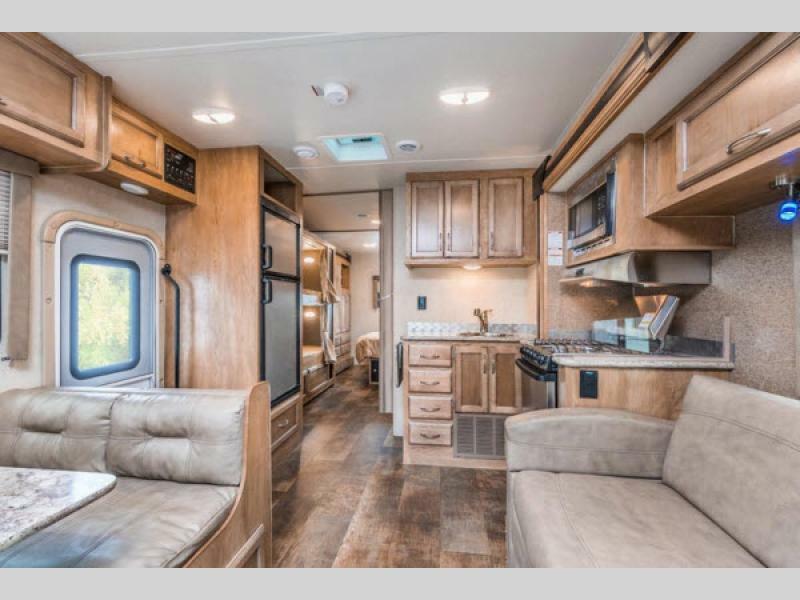 Let’s take a look at a couple of our favorite features in this Gulf Stream Conquest class C motorhome review, and you’ll see how it can improve your next vacation! You’ll have enough space for your family and a few friends! 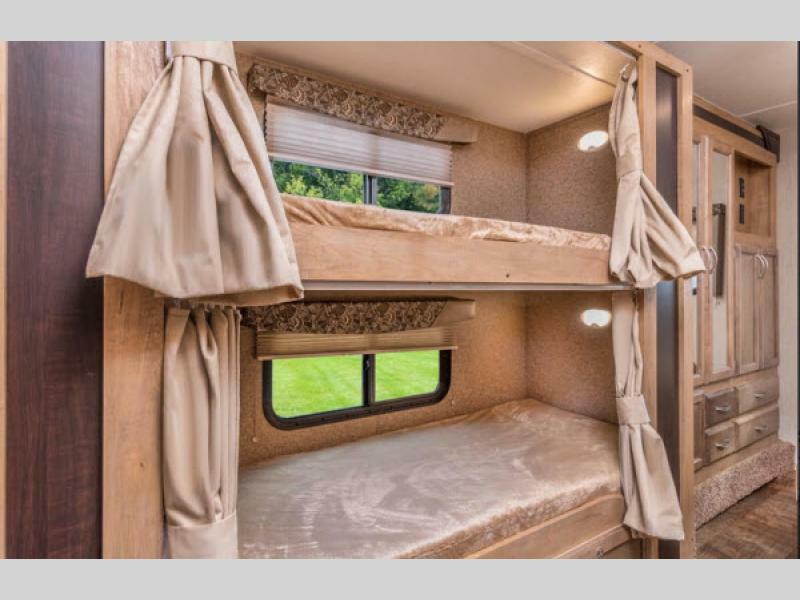 This model features a slide-out bunkhouse for the kids and an over-the-cab bunk for sleeping or storage. The master 60″ x 74″ queen bed with innerspring mattress has an optional pleated privacy door, so you can get a little peace at quiet at the end of the day. If you need even more sleeping space, the living area has a jackknife sofa and booth dinette which easily convert into extra beds. Savings like this won’t last long! Contact us today and save thousands on your next adventure. Is this model not quite the right fit? No problem! Check out other incredible Gulf Stream Conquest class C motorhomes on sale at Moore’s RV!